Use these links to share this information with others. After you read the book you’ll want more. Here are other pieces in the curriculum. Move your child on a map from where he is now (Point A) to where he needs to be (Point B) using a multifaceted strategy. You’ll learn how to use FIRMNESS, VISIONING, PRAYER, TEACHING, and COACHING, all surrounded by RELATIONSHIPS to bring about the needed change. Each of the 12 chapters takes the Motivate Your Child book to the next level, teaching you how to develop a unique strategy for change in your child. Learn more. Resources are available for your church or home. Teach these concepts in VBS, or Family VBS, or run Hero Training Camp in your home. This is the conscience development program for kids. These eight lessons for children ages 3-12 contain Bible Stories, crafts, science experiments, activities, and snack ideas to help your child become more aware of the four prompting of the conscience. God is looking for heroes and it starts with a strong conscience. Learn more. In each of these eight interactive sessions parents watch two short videos and discuss ways to help their children change using internal motivation instead of relying on reward punishment models that usually fail. Each lesson draws upon biblical principles to offer practical strategies for parents that they can use with any age child. Learn more. The Motivate Your Child Action Plan Book contains specific strategies and tools to help you build your parenting plan for each of your kids. 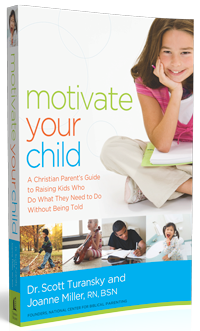 The Motivate Your Child Action Plan Book and audio embody the successful counseling strategies of the National Center for Biblical Parenting. This is the tool parents have been waiting for. Do therapy at home with your child using these strategies. We’ll walk you through the six steps. Special: The regular retail price is $39.95 for the Motivate Your Child Action Plan Book plus Audio. 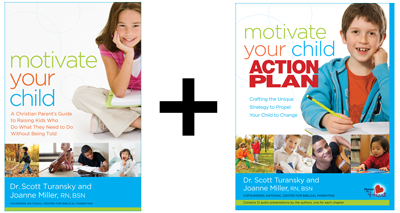 However, for a limited time, order both the Motivate Your Child book and the Motivate your Child Action Plan Book plus Audio for $49.95 (12% discount). Click here. "Kids who are strong-willed don't typically respond to the reward/punishment approaches commonly used. That's because they're internally motivated already. 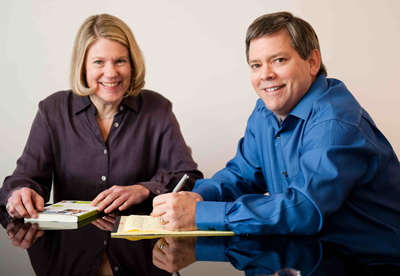 This book will help you guide their internal motivation to do the right thing."